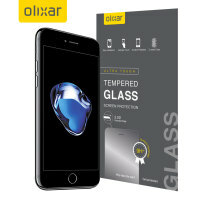 This ultra-thin tempered glass screen protector for the iPhone 8 Plus / 7 Plus from Olixar offers toughness, high visibility and sensitivity all in one package. This screen protector has been specially designed to be compatible with a wide range of cases. I am delighted with this product - this durable screen protector has the appearance of glass, adhesion quality is strong, no air bubbles either. The touch quality is not impaired and the slight recess around the screen allows for case attachment. 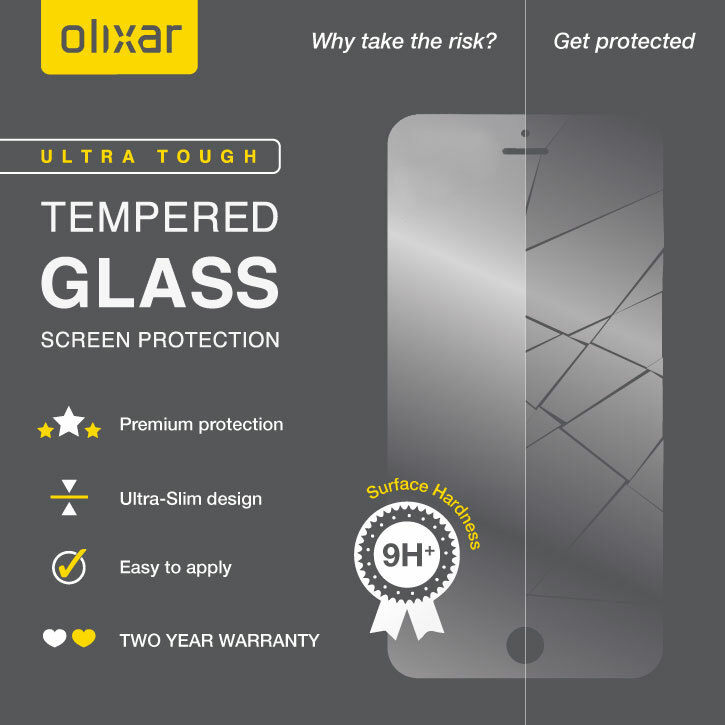 The Olixar screen protector is made from a reinforced tempered glass that maintains perfect image clarity while protecting your phone's screen from scratches and external shock. Crafted with tempered glass technology inside, the Olixar Tempered Glass Screen Protector for the iPhone 8 Plus / 7 Plus provides you with a shatterproof design that guards your precious display from accidental bangs and drops. Despite offering great screen protection for your iPhone 8 Plus / 7 Plus, the glass is only 0.33mm thick. This means it only adds an almost imperceptible amount of extra thickness to your phone, so you can be sure it is safe from harm while looking as good as new. Designed specifically for the iPhone 8 Plus / 7 Plus, the Olixar tempered glass screen protector offers a protective fit for your device.